A frigid, impossible land covered in sparkling snow surrounds you, your little sister, made more annoying by the fact that she wasn't lying after all, is lost to you up ahead, and an intoxicating chorus of sleigh bells jangling with anticipation swiftly approaches, what other choice is there than to climb into the waiting, fur draped arms of an elegant lady cooing promises of castles and kingship and confections? Oh, poor Edmund, little did you know you'd get there eventually anyway (the castle and kingship and all, just in a different, better way). 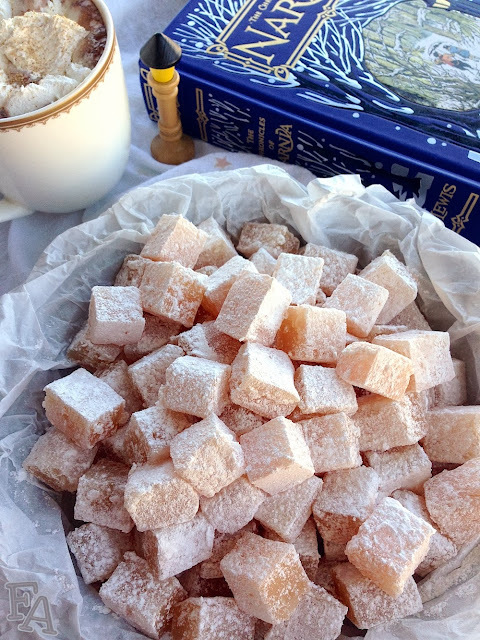 Edmund wasn't messing around when he asked the White Witch for Turkish delight. There was a time in Britain when this delectable treat was primarily enjoyed by the upper class (being a Mediterranean import), and I wonder if that wasn't the reason C. S. Lewis included it in this scene as something a greedy little boy, with delusions of grandeur, would demand and then devour in a gooey, sticky fingered fit of self-importance. 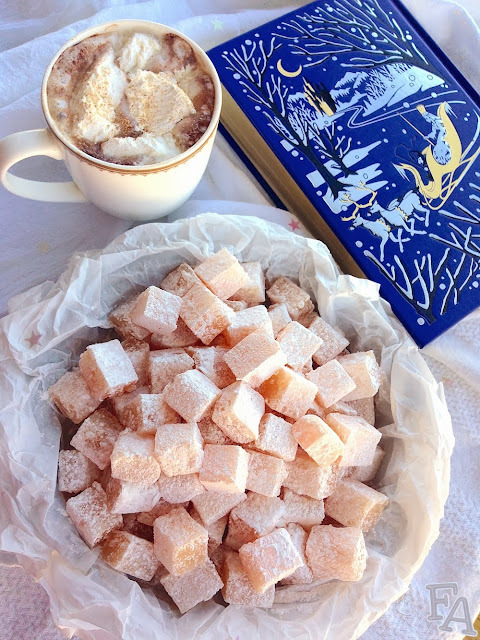 -The Lion, the Witch, & the Wardrobe by C. S. Lewis, chapter 4, "Turkish Delight"
Skandar Keynes (Edmund in the 2005 "The Lion, the Witch, & the Wardrobe" film) said "I have had Turkish delight, & it's nice." Nice until he had to eat several gallons of it while filming. 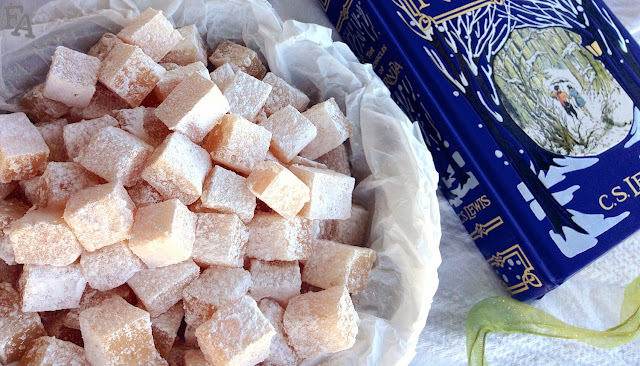 The symbolism of Turkish delight in Lewis' The Lion, the Witch, and the Wardrobe is of greed and manipulation and deceit, but even though its literary purpose isn't lost on us, we want to eat it because it's something from a wondrous fantasy world that we can actually get (or make!) in our own. Because seriously, who doesn't want a gooey sweet treat? And we know better than to fall prey to the White Witch's wiles, right? 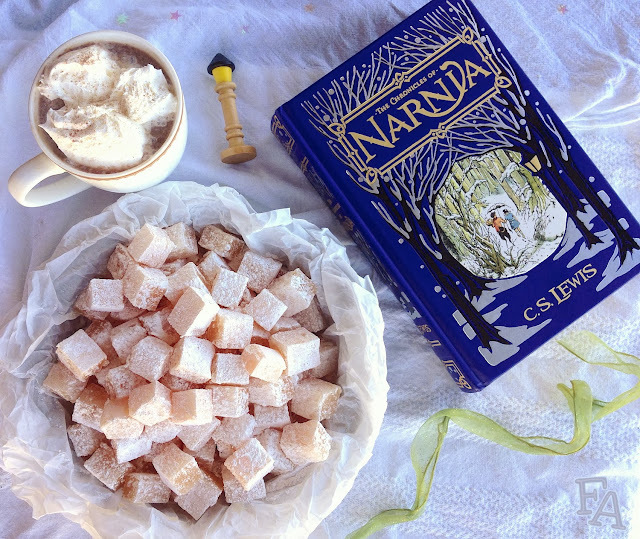 Minus the evil schemings, being cuddled up in warm fur with a steaming cup of hot chocolate and a tin of delicious confections hardly seems like something anyone would not want. 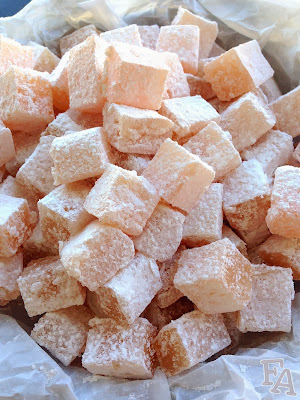 Note: The recipe below is for basic Turkish delight, also known as lokum in many parts of the world. Rose water is a very common flavoring (that has a very nice scent), but you can put in any other water-based flavorings (not oils), up to two tablespoons, like grenadine or orange or lemon or mint, mix 'em up, or make up your own concoctions using tea bags or whatnot. Another very common ingredient in Turkish delight is crushed nuts such as pistachios, walnuts, or hazelnuts. Simply add the crushed nuts at the same time as (or in lieu of) the flavoring (step 3 below). 1. Pour the 1 Tbsp of oil into your 9"x9" silicone baking pan & spread it around the bottom & sides using a paper towel. Set the pan aside. In a medium-large-ish pot mix the lemon juice, granulated sugar, & 1 1/2 cups of water. Place a candy thermometer on the side of the pot & turn the heat to medium-high, stirring occasionally with a silicone spatula, spoon, or whisk. When the temperature on the thermometer reaches about 240°F, known as the soft ball stage, remove the pot from the heat (if you don't have a candy thermometer to tell, soft ball stage is reached when a drip of the sugar mixture stays in a ball shape when dropped into cold water). The mixture should be light amber in color & all of the sugar should be dissolved. 2. In a medium pot combine 1 cup of cornstarch & the rest of the water (3 cups). Add the cream of tartar & stir gently until no lumps remain & everything is dissolved. Turn on the heat to medium & stir constantly, bringing the mixture to a low boil. Pay close attention because this mixture changes quickly! When the mixture is sticky, creamy, & thick, but before it becomes a really thick paste, remove it from the heat (I think I let mine go a little too far). 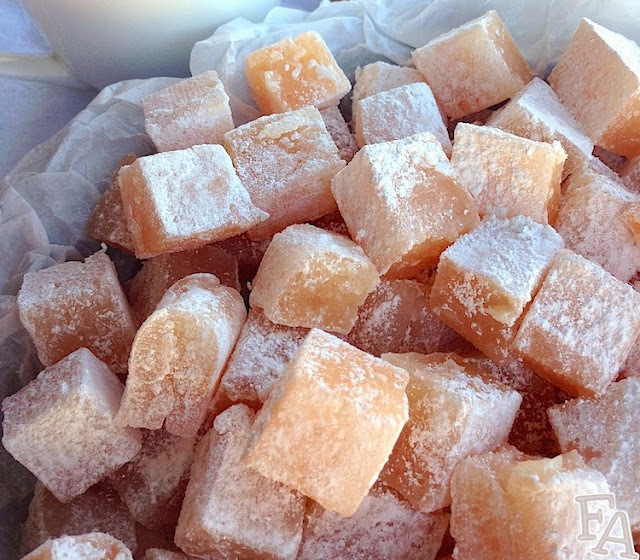 Stir it a bit more until it becomes nice & creamy & then immediately pour it into the pot with the sugar mixture. Stir until you get a smooth, creamy, thoroughly combined, light amber mixture. Put this pot back on medium heat & bring it to a low boil, stirring constantly, pressing out any lumps & scraping down the sides as you go. Continue stirring for about 40 minutes (yes, for realz. I recommend something soft under your feet & maybe a podcast to listen to). It's important to note that hot air pockets will develop under the mixture & bubble up & burst so be careful! To avoid the bubbles as well as to prevent burning on the bottom is why constant stirring is so important! As the time progresses the mixture will thicken & turn a slightly darker amber color. 3. Remove the mixture from the heat & thoroughly stir in your flavoring of choice & coloring (or omit one or both). Pour the mixture into the oiled silicone pan & spread it out & flatten it with a lightly oiled spatula or spoon (I actually used my oiled fingertips to get it level). 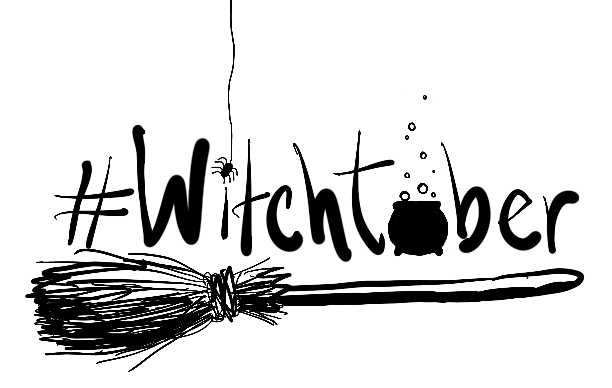 Whisk the 1 Tbsp. cornstarch & 1 Tbsp. powdered sugar in a small bowl & sprinkle it over the mixture using a sifter or fine mesh strainer. 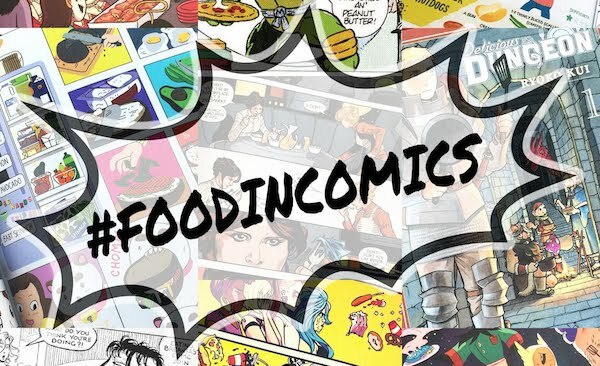 Let the filled pan sit on the counter, uncovered, for several hours or over night (you can loosely drape a paper towel or napkin over it to keep the dust off). 4. In a medium bowl whisk together the rest of the cornstarch (1 cup) & the powdered sugar. Use some of this to powder a cutting surface. Carefully upturn the solidified delight onto the powdered surface, using a powder coated metal spatula to separate the delight from the silicone pan if needed. Using the mesh strainer or sifter, generously coat the exposed side of the delight. Powder a non-serrated knife & slice the delight in half horizontally using a single downward motion (no pulling or sawing). Re-powder your knife & slice both halves into 1/2" vertical strips. Carefully place these strips into the powder bowl & coat the newly exposed edges. Gently lay the powdered strips back onto the cutting surface & cut horizontally to create bite-sized cubes. Put these cubes into the powder bowl to coat & then scoop them into the sifter, over the bowl, & gently toss to get rid of the excess powder. To store, place the pieces in a non-airtight container such as a paper bag with a little extra powder in it or a cardboard box lined with parchment paper. Serve with decadent hot chocolate while riding in a sleigh.